In a News Alert message on its Horizon 2020 website, the European Commission (EC) is calling for tweets to support the proposed budget for the next Framework Programme Horizon Europe. When presenting the proposal for the next Multiannual Financial Framework (MFF) on 2 May 2018. the EC had announced a proposed budget of €100 billion for Horizon Europe (2021-2027). In its message on the Horizon 2020 website, the EC thanks the RTI community for its valuable input in preparing the Horizon Europe proposal. 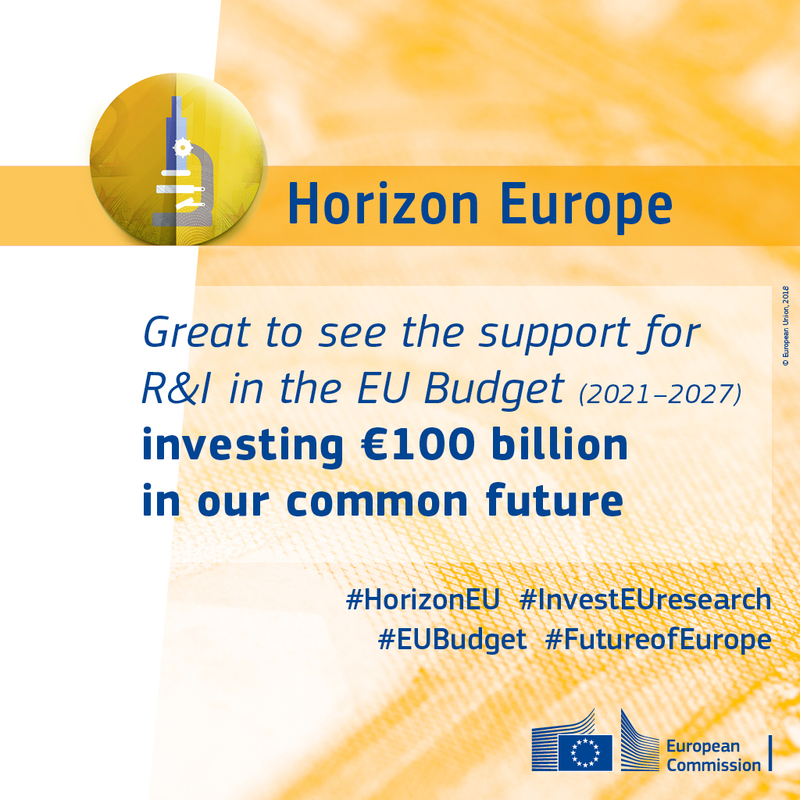 In order to ensure the best possible outcome for EU funds for research and innovation, the EC now invites the community to tweet messages of support using this shareable image and these three hashtags: #InvestEUresearch #HorizonEU #EUBudget. These tweets will be retweeted from the official @EU_H2020 Twitter account. The EC's appeal is: "Together let’s do our best to ensure that we secure an EU budget for research and innovation that Europe deserves, for the coming years."